Once holders of the most bearish Pound Sterling forecasts in the market, analysts at Morgan Stanley have upgraded their projections for the Pound in 2018. Analysts at the US investment bank say Pound Sterling will now avoid falling below parity with the Euro in the New Year as had been their view until recently, upgrades to their Pound-to-Dollar exchange rate forecsats have also been issued suggesting the floor on potential Sterling downside has been lifted across the board. But it remains the view that the Pound is still likely to see significant downside during the months ahead. “Beyond balance sheet vulnerabilities, GBP will likely be weighed down by the consequences of Brexit on the political and economic outlook,” says Hans Redeker, head of foreign exchange strategy at Morgan Stanley. 2018 will be a crunch year for the Pound as negotiations between London and Brussels go from transition and onto discussions surrounding the future trading relationship ahead of a self-imposed October deadline. The tenth month is seen as deadline for a final deal to be struck if it is to be ratified in the all of the parliaments in the EU before the March 2019 date when the UK is scheduled to leave the EU. “Weakness in investment should result if Britain leaves the EU without alternative arrangements in place,” says Redeker. European Union demands for “sufficient progress” on the “divorce bill”, citizens rights and the border between Northern Ireland and the Republic of Ireland are all issues of contention going into December 2017; if talks are to progress onto the subject of trade and transition after next month’s European Council summit. Above: Morgan Stanley are amongst the most bearish analysts when it comes to Sterling with forecasts well below consensus. “Keeping EU access for an interim period may be the best outcome for now, but will likely come with a high exit bill price tag which could exceed the tolerance levels of certain Conservative party members,” Redeker warns. Prime Minister Theresa May has offered to meet Brussels financial demands in order to move talks along at December’s European Council summit, although questions over citizens rights and the Northern Irish border remain. Most agree that a December vote to move talks along would be good for the Pound Sterling given it will be seen as clearing the way for a 2018 transition agreement, although it’s what happens after this point that matters most. “Political uncertainty potentially leading to early elections is not yet in the GBP price,” notes Redeker. The UK government has been beset by scandal and infighting over the trajectory of Brexit talks. Caught between hard-line supporters of both Remain and Leave on her own benches, Prime Minister Theresa May is vulnerable to a rebellion from either wing at any time. In addition, Sterling faces more traditional pressures from monetary policy. As other central banks raise interest rates or, in the case of the European Central Bank, move toward a slightly more normal monetary policy footing, the Pound is at risk of being left behind. The Pound is one of these so-called “canary currency”, according to Morgan Stanley, which means it is among the most sensitive to rising rates at both the international level as well as domestically. 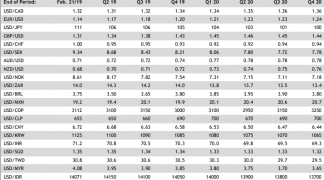 “Now, as these economies are running out of balance sheet leverage space, which reduces their growth potential, the US is pushing nominal rates gradually higher, creating further headwinds,” Redeker adds. The Federal Reserve has raised its policy rate from a 0% - 0.25% range in late 2015 to a 1% - 1.25% range in June. Meanwhile, the Bank of England has managed only to withdraw the emergency rate cut it forced through in August 2016. Meanwhile, the ECB is approaching the point where it is likely to begin normalising its own monetary policy which is something that is expected to help close the broad gap between the current price of the Euro-to-Dollar rate and the common currency’s “fundamental value”. “High real returns in Emerging Markets and rising US rates mean that the yield advantage offered by these economies relative to G10 counterparts may no longer be sufficient to compensate investors for these growing risks,” says Redeker. The implication of the "canary in the coalmine" idea for Sterling is two-fold. In the first instance, the Pound may lose ground to others whose central banks are also raising rates, but where those other currencies are backed by less debt laden economies. In the second instance, and further down the line, central banks like the Bank of England may ultimately be forced to reverse course and cut rates in response to the adverse economic effects of higher borrowing costs meeting with overstretched household balance sheets. Irrespective of these more medium-term considerations, Redeker and the Morgan Stanley team forecast the EUR/GBP pair will rise to 0.96 before the end of the first quarter 2018. This implies a Pound-to-Euro rate of 1.0416, which is some 7% below the current market price of 1.1201. 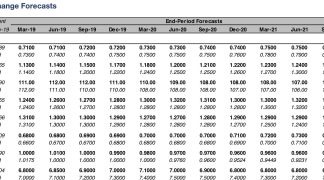 Previously Morgan Stanley had forecast GBP/EUR to be at 0.98 by the time March 2018 came about. For the end of 2018, Redeker and the Morgan Stanley team forecast the EUR/GBP rate to trade at 0.9400, down modestly from its first quarter level. This implies a Pound-to-Euro rate of 1.0669, which is still a substantial distance below the current market price. The Pound-to-Dollar exchange rate is forecast at 1.25 by end-March 2018, up from a forecast of 1.23 previously, 1.30 by mid-year, up from 1.23 previously and 1.24 by year-end. The direction of Sterling against the Euro will be lower, particularly through the first half of 2018 argue analysts at European banking giants UBS and UniCredit, confirming common ground with Morgan Stanley. 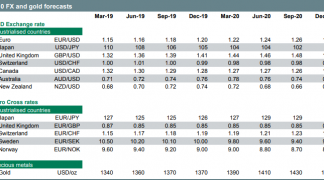 A fresh set of forecasts and analysis released by the Zurich-based UBS shows that the Pound is expected to fall to within 5 cents of parity with the Euro, but the UK unit should fare better against the Dollar and maintain ground above $1.30. "Brexit negotiations remain inconclusive, with risks to Sterling still skewed to the downside due to the UK's vulnerable external position. We remain bearish the Pound," says UBS Strategist Yianos Kontopoulos in the bank's London office. 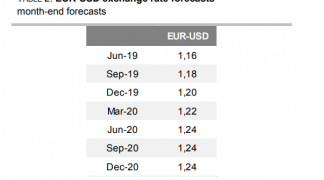 The recent fall back below 1.12 in the Pound-to-Euro exchange rate should at some point ultimately extend below 1.10 if recent studies by Kathrin Goretzki, a FX Strategist with UniCredit Bank in London are on the money. UniCredit are however more focussed on the strengthening Euro than anything, saying it will be a key theme of 2018. "This year’s broad-based Euro appreciation has been driven by improving eurozone fundamentals and the market starting to price in the ECB's upcoming policy normalisation," says Goretzki. The political risk factor cited by Morgan Stanley remains evident heading into the final month of 2017. The issue appears to be placing a cap on the Pound. Yet, Varadkar appears displeased with offers made thus far; the ratcheting up of threats could be because he is now facing an election at home thanks to a domestic political crisis and he knows threatening Britain sits well with voters who hold traditional Irish republican sympathies. Either way, the prospect of Brexit negotiations being stalled by Ireland is a real risk. "Hiccups on the political front could however dampen things for the Pound. Ireland’s Deputy PM has been given until 20:00 GMT today to resign before the opposition follows through with a vote of no confidence and fresh elections as soon as the week of December 18. With the December 4th Brexit bill deadline approaching, the drama in Ireland takes on added significance as it relates to the Irish border," says Joel Kruger, an analyst with LMAX Exchange. Marshall Gittler at ACLS Global says that if there is a vote of no confidence and the Irish government falls, which seems likely, then the Irish PM may attend the crucial December EU summit meeting as a lame duck PM facing an election. Gittler says he believes the second scenario is likely. "There’s an old saying in the US that “all politics is local politics.” I think it would make Ireland less likely to compromise. That would definitely be negative for GBP," says Gittler.